Hello! It’s been a while since I’ve posted on here, having given most everything up for the ease of Instagram. But I’m hoping to get things up and running again, even if it is posting duplicate outfits between here and there, hopefully giving a little more insight and trying to get some reviews started up again. Every week ticks by and I think that perhaps I will post less on Instagram and I can’t seem to give up the daily outfit post. So if you follow me on Instagram, you’ll likely see duplicate content here but I want to try and share the love with those people not on Instagram as well! I’m not sure how to get back in to this so I guess I’ll dive right back in with a few of my recent favorite outfits. 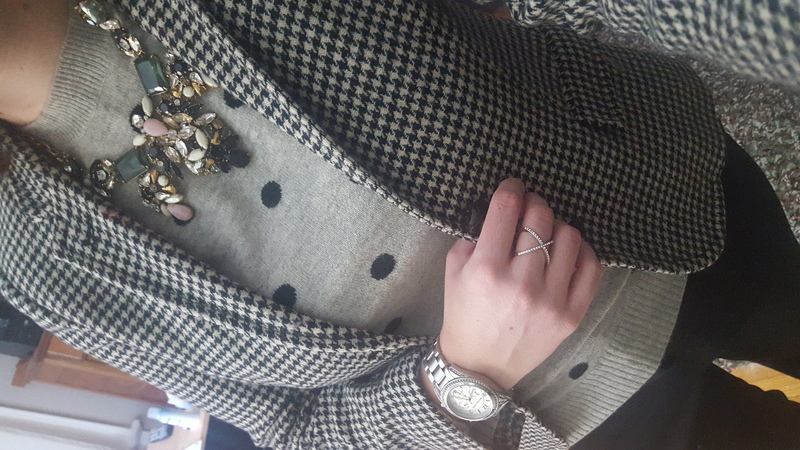 I have been feeling my style shifting as I try to stay professional and polished at work but still keep the interesting details. 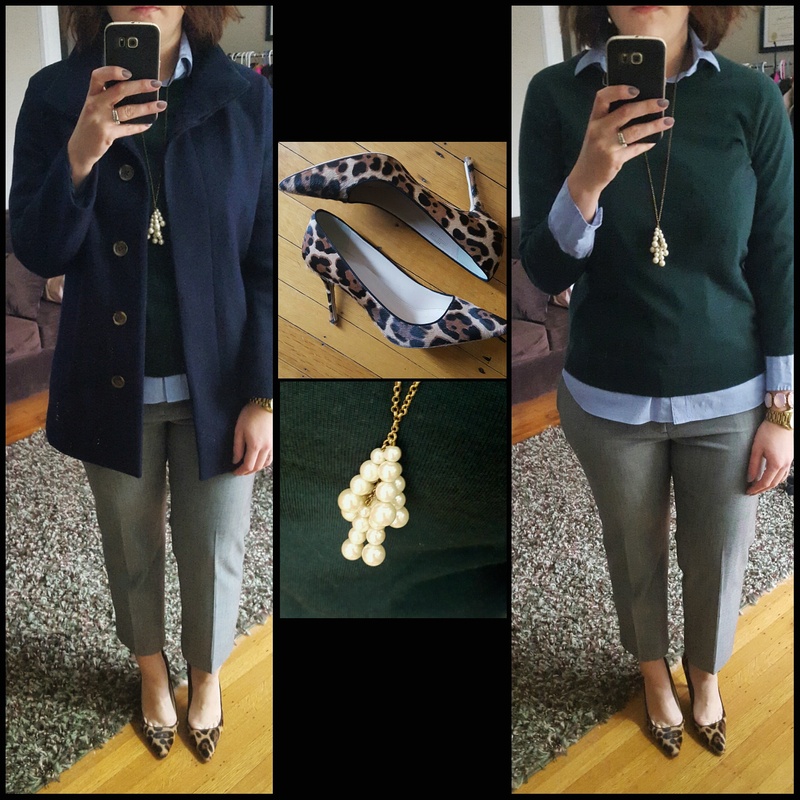 I still love my pattern mixing but I’m finding myself reaching for simpler pieces in the morning, more neutrals, and kicking it up with interesting shoes or a statement necklace. I am also finding myself wearing less on my wrist, opting for just a watch and maybe a bangle or one big bracelet. As you can see, I’ve been loving my ankle pants and heels lately…but I’ll share soon how much I’ve fallen back in love with full length pants! Finding pants is always a challenge for me but I’ve had good luck with Banana Republic pants and some of J.Crew’s full length pants. So, there’s a few of my recent late fall/early winter outfits. If you’re still reading, thanks for sticking around!